The Digital Research Library of Illinois History Journal™: The History of the Village of Hecker, Illinois and Civil War Colonel, Friedrich Franz Karl Hecker. The History of the Village of Hecker, Illinois and Civil War Colonel, Friedrich Franz Karl Hecker. The Village of Hecker had its beginnings first as the town of Freedom, with the first house built in 1849. Hecker, located at the intersection of Illinois Routes 156 and 159, is on the eastern tip of Monroe County. 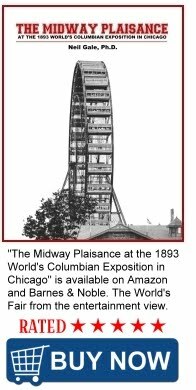 In 1895, due to the discontent of the citizens of Freedom, with the muddy roads and lack of sidewalks, they decided to incorporate. 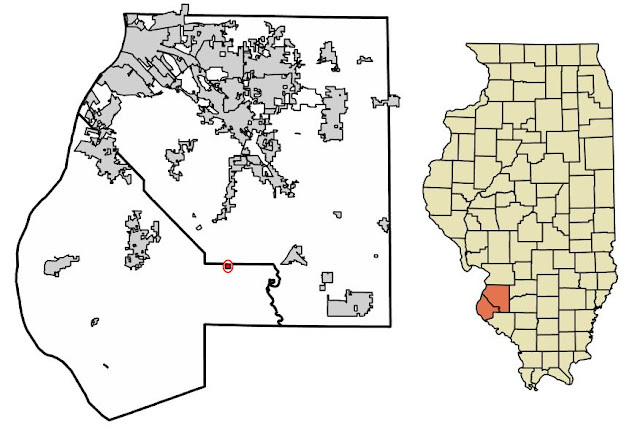 Because there was already a town named Freedom in Illinois, the U.S. Post Office requested another name for the village. Hecker, as it is known today, was named for Colonel Friedrich Franz Karl Hecker (1811 B Born: Angelbachtal, Germany and buried in Summerfield Cemetery, Summerfield, Illinois in 1881), a German lawyer, politician and revolutionary. He was one of the most popular speakers and agitators of the 1848 German Revolution (aka: the Hecker Uprising). His arrival in America saw a huge reception. He settled in Summerfield, Illinois, just outside St. Louis, Missouri. Then, in 1861 he enlisted as a Private in Franz Sigel's 3rd Missouri Volunteer Infantry. The Hecker Farm in Summerfield, Illinois. He had assembled a regiment consisting of German and Jewish soldiers as a Union Army Colonel in the 24th and later on the 82nd Illinois Volunteer Infantry in the Civil War. He was severely wounded at the Battle of Chancellorsville while carrying the battle flag during a charge on Confederate positions. 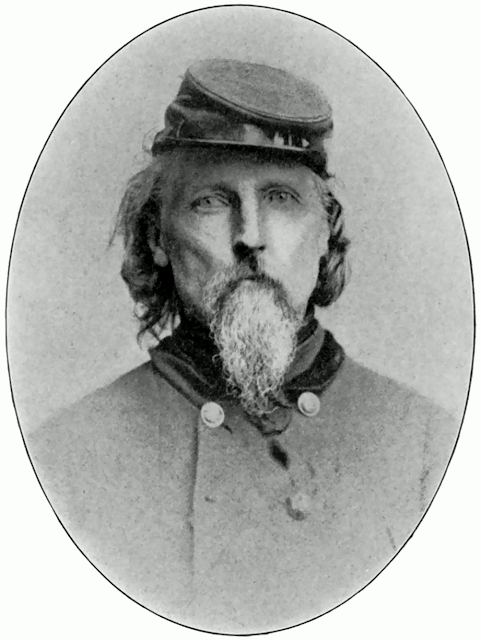 Colonel Hecker during the American Civil War. Hecker owned a farm near Summerfield in adjacent St Clair County. Because of Col. Hecker's personality, courteous dealings and intellect, the people of Freedom decided to name their village after him. Hecker died in 1881 and buried in Summerfield, Illinois. 1848 German Revolution / The Hecker Uprising - The Hecker uprising was an attempt by Baden revolutionary leaders Friedrich Hecker, Gustav von Struve, and several other radical democrats in April 1848 to overthrow the monarchy and establish a republic in the Grand Duchy of Baden (The Grand Duchy of Baden was a state in the southwest German Empire on the east bank of the Rhine. It existed between 1806 and 1918). The main action of the uprising consisted of an armed civilian militia under the leadership of Friedrich Hecker moving from Konstanz in the direction of Karlsruhe with the intention of joining with another armed group under the leadership of Georg Herwegh there to topple the government. The two groups were halted independently by the troops of the German Confederation before they could combine forces. The Hecker Uprising was the first large uprising of the Baden Revolution and became, along with its leader, part of the national myth. August 12, 2018, Dr. Johannes Fechner, a member of the German Bundestag, paid tribute to Hecker by laying wreaths at a statue of Hecker in St. Louis and at his gravesite at Summerfield cemetery. Fechner represents the area where Hecker lived in Germany.